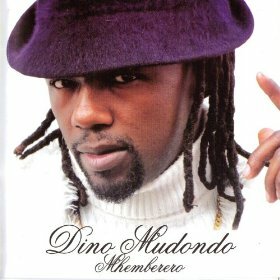 SINCE he broke into the limelight over 10 years ago, Dino Mudondo has been involved in controversial relationships. Notable is his relationship with Cecilia Dapeta, who allegedly made him eat raw fish at a ritual to get rich. Recently, he was in the news over a love triangle with a girl named Ruth, who was thought to be in a relationship with Peter "Young Igwe" Moyo. After just a month with Ruth, Dino says he wants to marry her. But, such marriage promises are not new from Mudondo who, only last year, wanted to marry another girl in December. Yesterday, the dreadlocked musician opened up on his turbulent lovelife. "I have known Ruth for close to a month now, but I guess she has always been in my dreams from way back. You know how soulmates come; you meet her today and you feel like you have known her all your life," Mudondo said. The musician even claims he has dedicated his now-due-for-release album to the new love. "We did a song together titled Wandava Naye and we did part of the video shooting last Saturday in Bulawayo, during my Cape to Cairo show. We will be finishing the video this week. The title track Ndakupihwa naMwari explains it all." Could it be a curse that has led to the pint-sized musician bed-hopping with different women in this day and age of HIV and Aids? "My father Norman Mudondo said it would be very difficult for me to really settle down before my music career blossoms because I have too much love for my craft. I think women get tired of waiting for me to realise my dream and they go, but I am patient. This time, however, I think I have struck the right cord because Ruth is so supportive and loves what I do. Unlike others who advised me to pursue a career in marketing, she is supportive. Others have told me to go to the bar if I sing in the house while some have said I should get my hair cut," Mudondo said. Dino was once married to a woman who went to study in the United Kingdom. They had two children together before separating. "My wife left soon after our first child and I sang Ndichakumirira. She came back after three years and we were blessed with our second child and all was well. I was in the middle of planning for a grand wedding when she decided to go back to study for a masters' degree and I guess I could not wait for another two years so we ended it (the marriage)," he said. "She, however, came back two years ago and I had moved on and she has also moved on. She has a good job and bought a house in a silky uptown suburb of Harare. She drives a posh car and I am just thankful to God that we get along so well and she does take good care of our two girls. She also allows me to see them whenever I want." He said she reads all his good and bad stories and listens to his music, while she remains one of his biggest fans. The Rastakwasa musician said he is aware of the dangers that are associated with changing sexual partners and said he was very careful about his health. But how careful can one be to plan to marry someone he has known for a month? "We started dating on September 8 when we met during a Peter Moyo show at City Sports Bar, but I had long known her. I had met her at Tongai Moyo's funeral at Mbizo Stadium, Kwekwe. We have been friends on Facebook and we would chat on WhatsApp all the time when she was outside the country until she came back to Zimbabwe in June this year,"